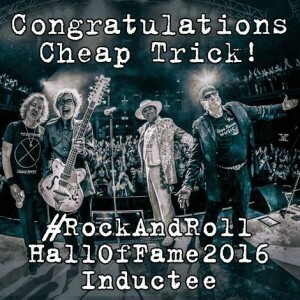 American hard rockers Cheap Trick who have often been dubbed the “American Beatles” have offered a free song for fans to download to celebrate their induction into the Rock and Roll Hall of Fame and their signing to the Big Machine Label Group. The free song to be downloaded is called “No Direction Home” and will be on the group’s upcoming release with the Big Machine Label Group. Cheap Trick were formed back in the early seventies and have released more than fifteen studio albums including their most commercially successful album Dream Police in 1979. 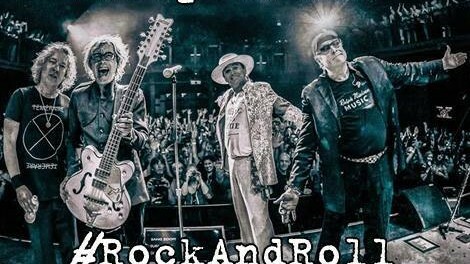 The band currently consists of singer and rhythm guitarist Robin Zander (1974 onwards), lead guitarist Rick Nielsen (1974 onwards), bassist Tom Petersson (9174 to 1980 an 1987 onwards) and drummer Daxx Nielsen (2001 and 2010 to the present).